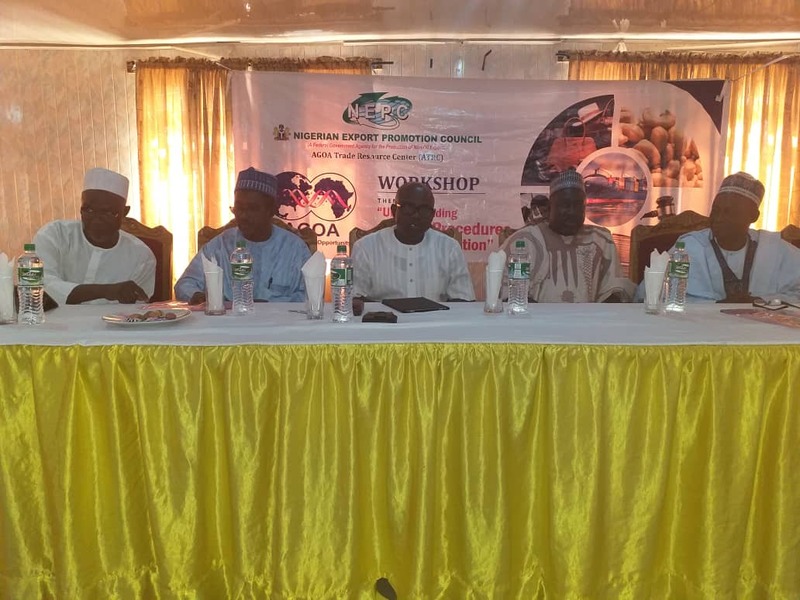 Informal trade worth more than N1bn takes place in Kano each month, Regional Coordinator, North West, of the Nigerian Export Promotion Council (NEPC), Mr. Balla Hassan, has said. Hassan, who also disclosed that the Council is aware of the ‘back door’ trade ongoing from the Kano grains market, said the NEPC is working hard to help traders to export formally and reap the benefits of their efforts. He made this disclosure after a capacity building workshop organized by the NEPC-African Growth and Opportunity Act (AGOA) Trade Resource Centre in Kano recently. He pointed out that mostly, Agricultural products like maize flour, millet flour, guinea corn flour, ginger flour and other crops valuing above N1.7bn per month are exported informally to Niger, Chad Republic, Algeria and Libya. He explained that NEPC also encourages the people to operate corporate accounts for their businesses. He added that with corporate accounts, such ones will have NXP forms and their proceeds can be repatriated formally through their bank accounts and with that, the Central Bank would be able to track the volume and value of the foreign earnings through such transactions. On his efforts for food processors, commodity associations and farmers to take advantage of AGOA before the Act’s expiration, Hassan said his office often carries out programmes to sensitise the exporters in his region. “We do a one-on-one visit to exporters, hold sensitization programmes just like the AGOA programme, and encourage exporters to form clusters and have equipment to process in bulk. “Meanwhile, finance is a major problem because stringent measures are involved in getting facilities from banks,” he said. Speaking at the sensitasation programme, the Executive Director/CEO NEPC, Mr. Segun Awolowo, ably represented by the Council’s Regional Coordinator, Lagos, Mr. Babatunde Faleke, said the program is to set the perspectives right that AGOA is not a big vocabulary like many have seen it. Faleke added that, the Federal Ministry of Industry, Trade and Investment is the apex body promoting trade and AGOA in Nigeria but the NEPC is not resting on its oars and as part of the Council’s mandate has decided to extend the programme to Kano. “The purpose of our coming to Kano is to inform participants and exporters on what they need to know and do to take advantage of the exportable products currently 6,500 which they can export legitimately under AGOA, ”he said. She enjoined the participants to approach NEPC for registration and seek counsel before stepping out to export their products. She said exporters and would-be exporters after seeking counsel should decide on what they want to export. “Know the products and certification requirements of the products you want to export, follow specification of buyers, back up such transaction with genuine documents, and take the bold step to export,” she said, stating further that the products must meet international standards. “Ensure you meet international standards, ensure transportation and logistics systems are in place on consistent basis. “Find an agent or importer in the U.S., choose a good freight forwarder in Nigeria and a good Customs Broker in the U.S. Make timely delivery; Support your shipment with genuine documents,” she admonished. Another speaker at the event, Mr. David Aderibigbe, who lectured on “Exporting Food Products to the U.S.A: FDA Regulations & Procedures,” enlightened participants on various Acts that facilitate exporters’ operations. Aderibigbe also stated that, the Act protects food supply to the U.S. where different requirements exists for different types of imported food. He also enlightened that U.S. standards are generally similar to those of the WTO and EU, but more demanding for some products which is why exporters must be detailed and deliberate about their decision to export to the USA without incurring losses.